So, every time we release a new video to our channel, there seems to be at least a couple of people in the comment section asking the same questions over and over again. Questions regarding the current state of the CCS Video Podcast, the whereabouts of some of our past and present members, the requirements for joining the Cheshire Cat Studios group, and so on and so forth. As such, instead of copy-pasting the same answers over and over again, we’ve decide to make this quick Q&A video to put all of these concerns to rest once and for all. So, with that said, onto the questions! Katie: We interrupt this program for a very important message! CineMax: So, every time we release a new video to our channel, there seems to be at least a couple of people in the comment section asking the same questions over and over again. Questions regarding the current state of the CCS Video Podcast, the whereabouts of some of our past and present members, the requirements for joining the Cheshire Cat Studios group, and so on and so forth. As such, instead of copy-pasting the same answers over and over again, we’ve decide to make this quick Q&A video to put all of these concerns to rest once and for all. LaughingMan: Well, sir, this is what’s called confirmation bias. It’s usually what happens when you simply want someone else to reinforce your existing subjective opinion and/or validate a purchase. If you enjoy what we have to say about a given subject that’s great, but if we don’t cover a topic that you’re interested in, then there are literally thousands of other YouTubers likely discussing it even as we speak. In which case, is it really wise for us to be another grain of sand in that quagmire? CineMax: Not to mention: Cheshire Cat Studios is not Channel Awesome. Nor have we ever tried to be. So, if all you want is constant coverage of entertainment media news, there’s plenty of other YT channels doing this. And guess what? You’re free to subscribe to them. We’re not jealous. CineMax: Not to interrupt, LM. But I think they’re asking about the next installment of the CCS Video Podcast. After all, no one cares about After Hours. Even if a typical After Hours recording has twice the amount of content. LaughingMan: Oh. Well, in that case the answer is: “probably not.” CineMax, Katie, and myself are the only three full-time members of Cheshire Cat Studios. A proper video podcast would require at least one more person. This is not to say that we’re not gonna be making more actual videos in the future, mind. Just don’t expect to see another roundtable about disturbing DuckTales parodies any time soon. LaughingMan: Well, technically so can Lucy the Gorilla. What else can you bring to the table? Are you a decent video editor or artist? Can you offer some sort of regular contribution besides being a talking head? CineMax: What LaughingMan is trying to say is that the real problem with our content in the past was not a shortage of podcast hosts. Believe me, we’ve had plenty of applicants dying to join the roundtable. But what we’ve been lacking all this time are actual TEAM MEMBERS. So, in the future, what we’re looking for are artists, musicians, and just content creators in general. You don’t need to be a part of the CCS Video Podcast line-up to be featured on our YouTube channel, you know? CineMax: As far we know, B-Mask has officially left CCS to puruse a legitimate career in animation. LaughingMan: He does have a separate YouTube channel, though. So, If you’re interested in following him, here’s a link. LaughingMan: Good question. We’d like to know that ourselves, to be honest. But the fate of that show is entirely in the hands of Kenny and Fuboo. CineMax: In the three months since our last episode, we’d recorded several discussions between myself and LaughingMan… but truth be told, we felt neither of them was really up to par. By the way, if you’re supporting us via Patreon, you should have access to a secret “lost episode” of Waste Effort. This one was a discussion that we were halfway through animating when we decided to move on and start from scratch. 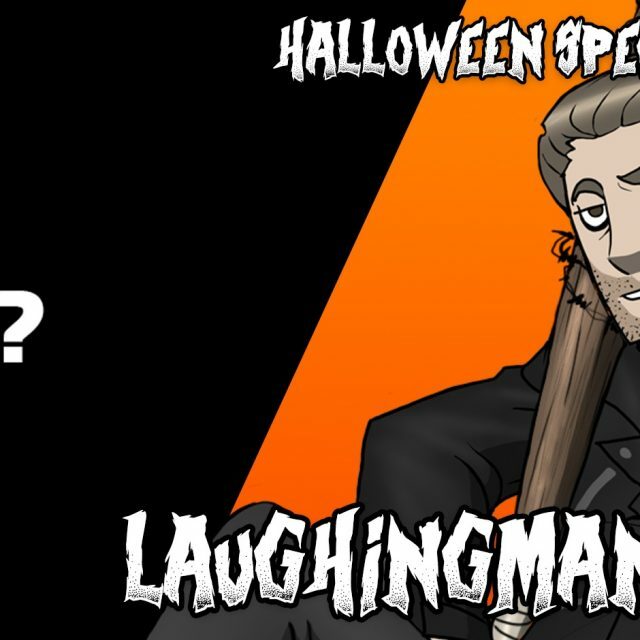 LaughingMan: Glad you asked! Currently we’re trying to keep our YouTube channel active with more frequent After Hours recording, WildCards compilations, and a monthly webcomic series which is available on our website. There’s also Wasted Effort, of course. But remember when we said that in time we’d like to try our hand at more creative projects? Well, yeah. That’s kind of what we’re doing. CineMax: Sadly, it’s still way too soon to unveil any specific details at the moment. However, we might release a “teaser” of sorts sometime soon to give you folks an idea of what Cheshire Cat Studios has in store for its fans in the future!